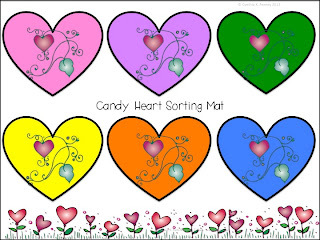 Most teachers sort and graph candy hearts during February for a Valentine's Day project. I do, too! 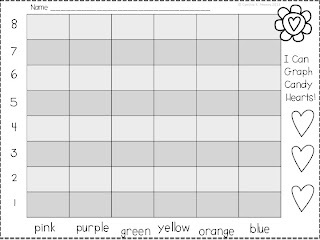 This year, though, I decided to jazz up my sorting sheet and am sharing the sorting mat and graphing recording sheet with you! I have given you two styles of mats; one with blue hearts and one with white hearts. I think it depends on the brand of candy hearts you use as to whether there are blue or white hearts included. The rest of the hearts are the same, I believe.